I’ve just finished putting my hair in its usual hassle free ponytail when I hear a crash in the living room. It’s followed by a loud moan. I hurry out of the room to find him laying on the floor, no cane to be seen. I bend over him and ask him if he hurt anything. No, he moans. I reach for and grab one arm, gently as I can, I lift him to his feet. It’s easily done, the lifting of him. Too easy for a man who is 5′ 11. I shouldn’t be able to lift him I think to myself, as I slowly lead him back to his bed. I’m only 5 feet tall, I should have a harder time lifting him off the floor. But I don’t. He sits on the side of the bed and I look him over, making sure he hasn’t hurt anything. I see some bleeding on one arm and take a closer look. Just a scratch, but the blood is dripping down his arm, so I grab a tissue to put over it to staunch the blood. He bleeds so easily now. The slightest bump, scratch or nick brings blood and later a bruise. His medicine’s fault. I ask him what happened. He tells me in his gravelly voice that he only needed to use the bathroom. He was on his way back when he tripped over the rug and fell. 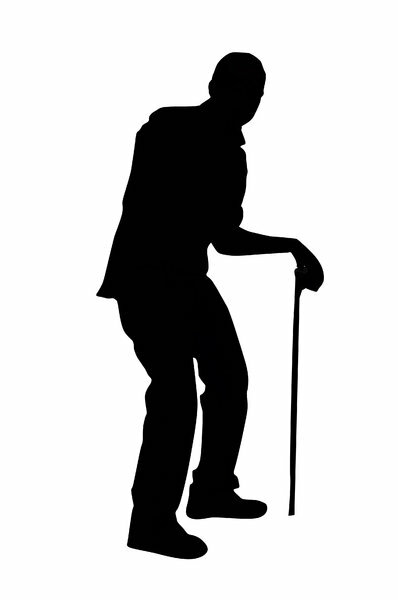 Where is your cane, I ask him. He forgot it in the bathroom. I go and get it and put it next to his bed where he can reach it. It is the start of a bad day. I’m in my office, working on the computer when I hear a crash come from the kitchen. Oh no! Not again! I rush down the hallway and turn the corner to the kitchen and find him on his back on the floor, his head against a cabinet door. He is trying to turn over on his knees, but can’t seem to do so. I put my hand out so he can grab it and once again, lift him to his feet. He is angry. At himself. He was reaching into the fridge for a drink when he lost his balance and just fell backwards he tells me. He angrily asks why can’t he just stand up without falling?! I look into his dilated eyes, they are huge with the effects of his pain drugs and full of frightened anger. They shouldn’t be that dilated and my heart drops. I calmly ask him what pills did he take. He doesn’t seem to understand the question. I lead him to his bed, again, and ask him what else did he take besides his pain meds. He jerks his arm out of my hand and says nothing. I look at the shelf where he keeps his things and find some empty pill bottles. Dammit, I must have overlooked some pills in his bathroom. I pick them up and look at the labels. I hear him moan and he tells me he just wants the pain to go away for a while. I read the labels on the now empty vials and see it’s antibiotics and other pain med. How many did he take? He doesn’t remember. I hand him a bottle of water and tell him to drink. Now, I’m worried. I ask him if he’s tired. No, he says, he’s hurting too much to go to sleep. In my mind, I’m relieved. If he isn’t tired and doesn’t want to sleep, he isn’t too bad. Not too many pills are in his system, I hope. I pocket the vials and make sure he’s settled once more. As I go back to my office, I throw the empty pill vials in the trash and check his bathroom for anymore missed pills. Finding none, I sit back down in my office chair. Tears are wanting to flow, but I know I can’t let them. If I start, I won’t stop. I can’t do it. Twice more that day, I hear crashing and run to pick him up off the floor. Then the pills wear off and he’s better. I’m exhausted from worry, but thankful at the end of the day he is just scratched slightly, otherwise he seems ok.
Me, I’ve hurt my knee. To find out later that week at the doctor’s that I have pulled a ligament in my knee. The doctor doesn’t ask how I did it. I don’t offer him any information. I just think, he had one of his bad days.